I'm reposting a family pix of my rings for sale. You can browse through my previous listings for details. I would like to fund new project so willing to let them go at even lower prices, which were already much lower than my purchase price. 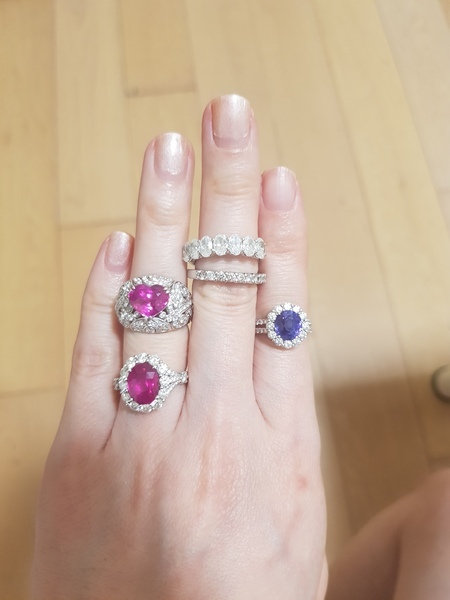 They are all great quality and less than 2 years old, with the exception of the smaller half eternity band. No returns as I'm a private seller.